Józef Czapski is not a well-known figure in Poland. His most important books and series of paintings, because he primarily considered himself a painter, were created during the communist period. And Czapski was then unprintable. Not only was he associated with the Parisian "Kultura", but in his most famous book Na nieludzkiej ziemi (“The Inhuman Land”), he described the search for Polish officers murdered by the Russians in Katyn. Unfortunately, he had no chance to reach recipients in free Poland. He died in 1993, at the ripe old age of 96. Maybe Polish readers will finally discover him now though, as it has already happened before that the road to Warsaw can run through New York. At the turn of the year, the most important American publishing series "New York Review of Books" published translations of two books by Czapski. The Inhuman Land is the first description of Soviet totalitarianism, which was a quarter of a century ahead of Solzhenitsyn's "The Gulag Archipelago". I would like to remind you that we presented this title in our series "100 books for the 100th anniversary of independence". The second book is Lost Time, lectures on Proust which have never been published entirely in Polish. Behind its translation is the American painter Eric Karpeles, who wrote Józef Czapski’s biography, published by the same "New York Review of Books" at the same time. It was Karpeles who discovered Czapski for Americans, since he was fascinated by the lectures on Marcel Proust's masterpiece In Search of Lost Time. Not only because of the content, but also because of the circumstances of its creation: the author delivered them in a Russian gulag in Griazovets in 1940. Their records survived miraculously. Just like Czapski himself and his companions, who only by accident were not among the more than 20 thousand officers murdered in Katyn. Karpeles, fascinated by the lectures on Proust, began to study Czapski's biography, whom – as he was a soldier of two world wars, a labour camp prisoner, and a political emigrant - he considered to be a very important witness to the age of totalitarianism. The book Almost Nothing, which will be published in Poland in March under the title Prawie nic, attracted the attention of a prestigious publishing house. 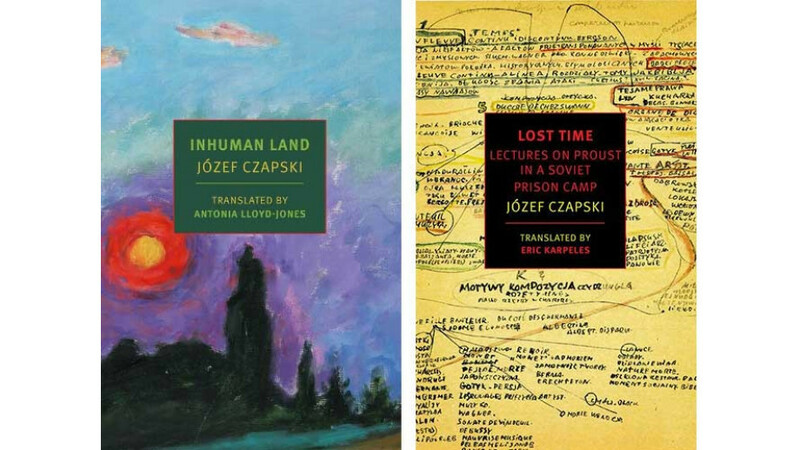 Today, Józef Czapski is the subject of all the most important American titles, headed by the New York Times, and the books have enthusiastic reviews. But equally important is the following: if we need ambassadors for the Polish cause, thanks to whom the world will better understand our history, it is difficult to find someone better than Czapski.